this has been a labor of love for the past several months. Several months a go a friend named Eric Miller stopped by the coffee house with a whiskey barrel from distillery 291 in Colorado Springs. He suggested we try to age green coffee in the barrel and see what happened. I was skeptical at first, but I filled the barrel with 30lbs of green coffee and waited. I would smell the opening every week or so and at about 14 weeks I decided to roast the coffee up. What we found was an amazine Whiskey aroma and flavor that exploded the senses. We released the limited edition coffee and sold out in 3 weeks. Batch 2 was another whiskey aged coffee. It too sold out in 3 weeks. I was surprised by the amazing response and the amazing flavor. So, I started thinking about what else I could use. 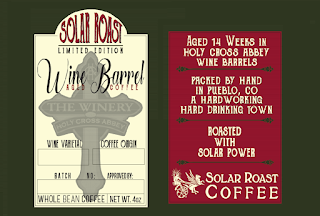 I found a perfect match with the wine barrels from our local Winery in Canon City. When you visit Southern Colorado you simply must get to the Abbey. It has the most beautiful grounds in the area...and the wine is simply superb. The head wine maker, Jeff was gracious enough to save some barrels for me. 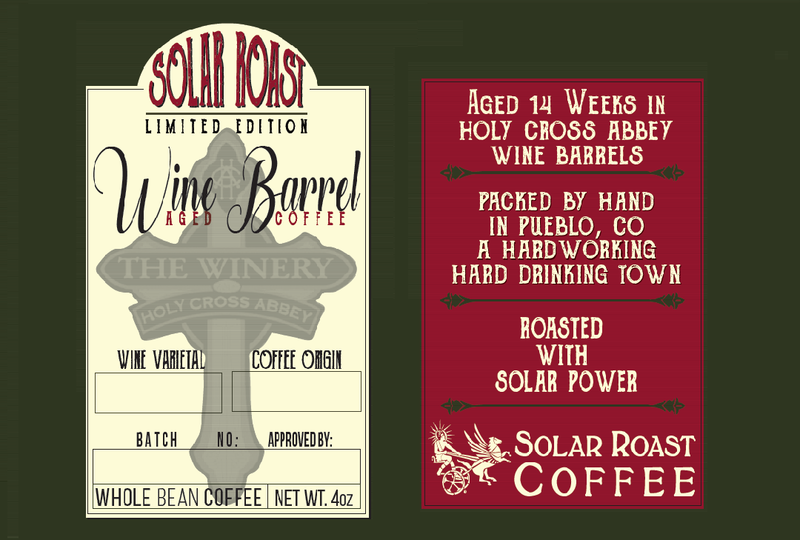 This first batch of Wine Barrel Aged coffee is from a Cabernet Wine Barrel. The coffee I selected to age is a Colombia Organic coffee. I am proud to tell you that the coffee has an exquisite fruity flavor with a very smooth oaky finish. My friend Dave Ray (SRC's Chief Growth Officer) said that this is the best coffee he has ever had in his whole life! Always prone to excitement but never to declare love quickly I agree with his assessment. Limited quantities. Super fun to make. Enjoy.